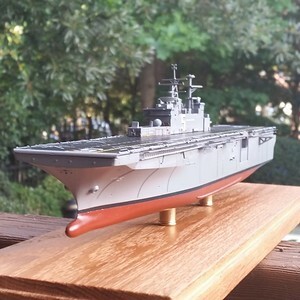 USS BATAAN (LHD-5) in 1/700 by Hobby Boss. 160307: LHD-5 complete, airwing aboard. 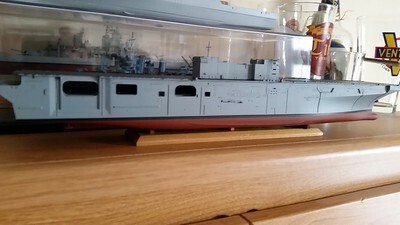 160307: LHD-5 progress shot with airwing onboard. 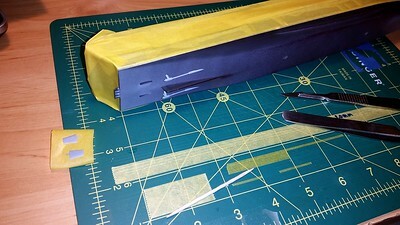 Aircraft are secured with a tiny drop of PVA glue on the main mounts. 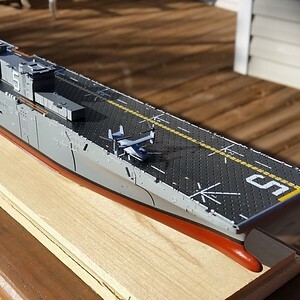 160226: LHD-5 progress shot with airwing onboard. Note visiting CH-46 (MV-22 replaced the 46's). 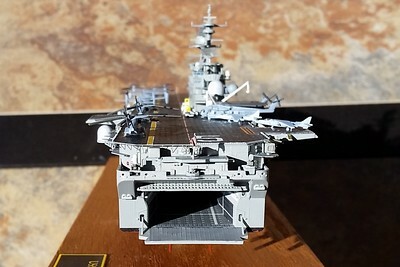 151110: LHD-5 progress shot. 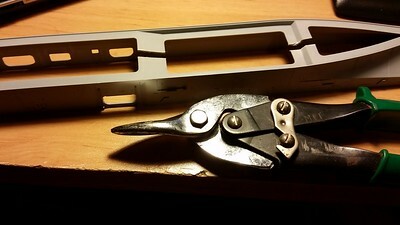 Stern gate and hydraulic operating arms are a surprisingly good fit. 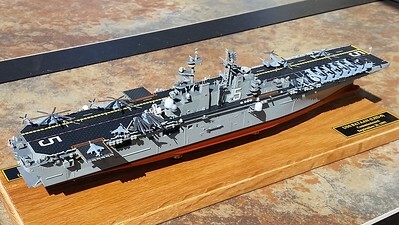 151110: LHD-5 progress shot. 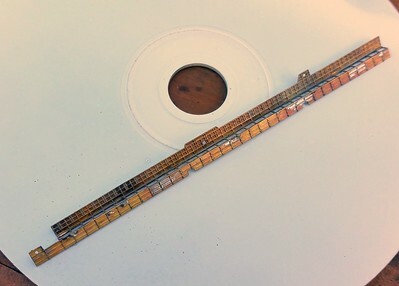 Note PE on SPS-49 antenna. 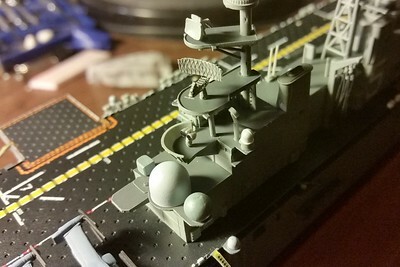 151108: LHD-5 progress shot. 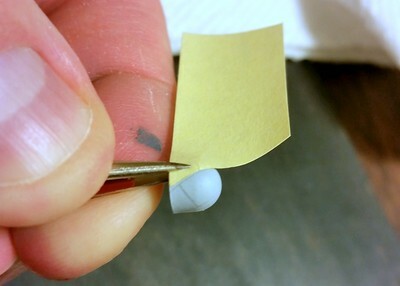 Note the RAS delivery hose (fine solder on three eyelets from twisted copper wire). 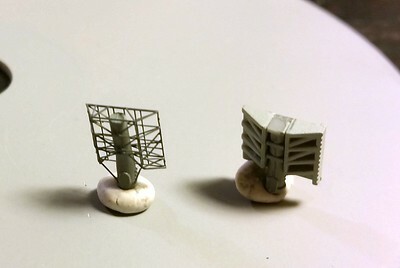 151106: Bending the SPS-49 antenna's boom. 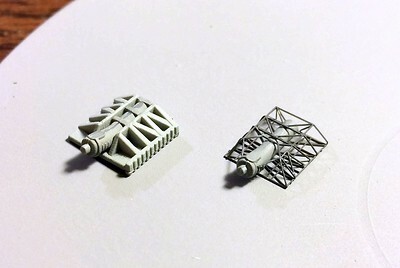 151106: Kit provides both plastic and PE options for the SPS-49 antenna. 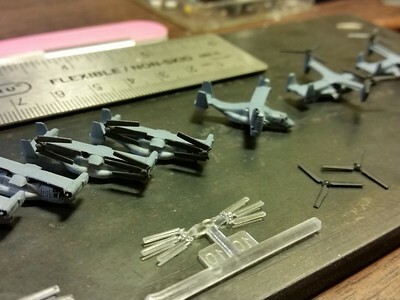 151021: MV-22 production line. Trumpeter and Dragon MV-22s are very compatible. 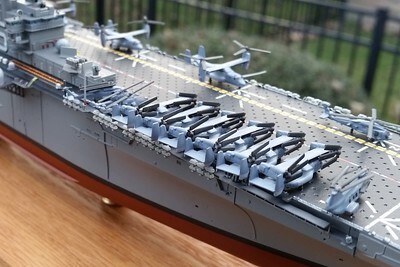 151021: MV-22 production line. 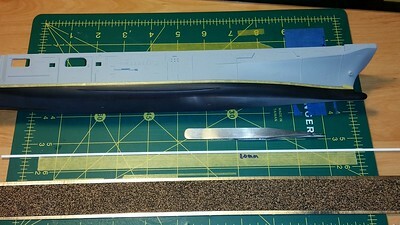 Kit includes 4 V-22s; I added a six-pack. 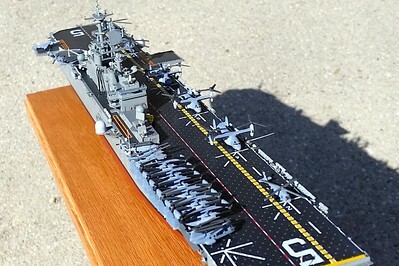 Two on extreme right are from Dragon LPD-17. 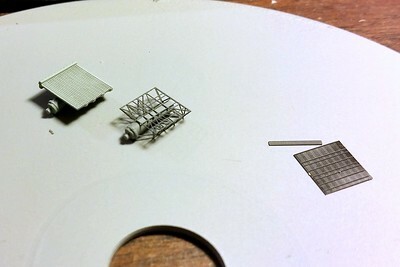 151013: Kit provides both plastic and PE options for the SPS-48E antenna. 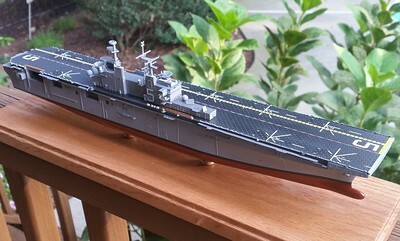 150925: LHD-5 before closing up the hull. 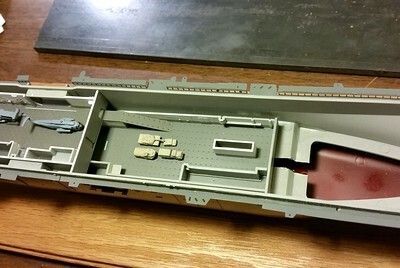 150925: LHD-5 Aircraft Hangar and Upper Vehicle Storage.. Nice detail, but you won;t be able to see a thing! Kit vehicles. 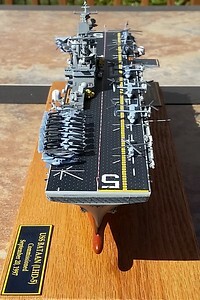 150925: LHD-5 Aircraft hangar. 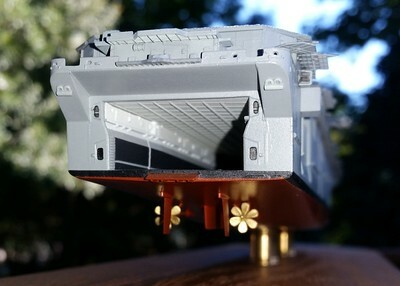 Nice detail, but you won;t be able to see a thing! 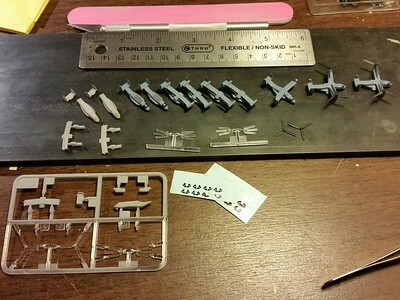 Kit aircraft. 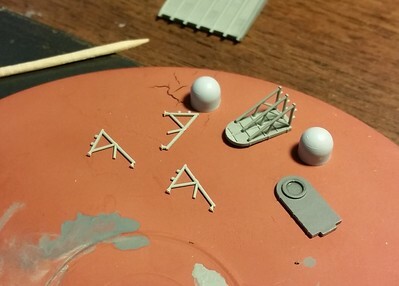 150922: Trying to represent the panel detail on the WSC-6 domes. 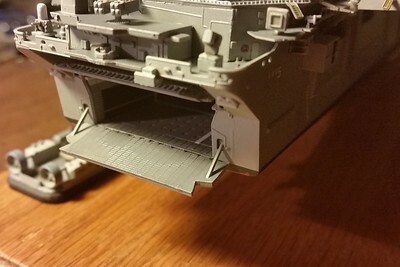 150918: LHD-5 Aircraft Elevator platform detail. Fit is excellent. 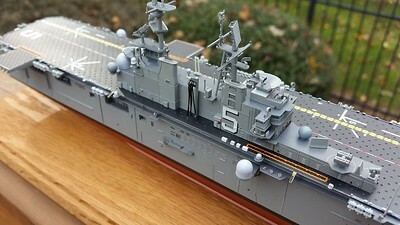 150918: LHD-5 WSC-6 antenna platforms (P&S). 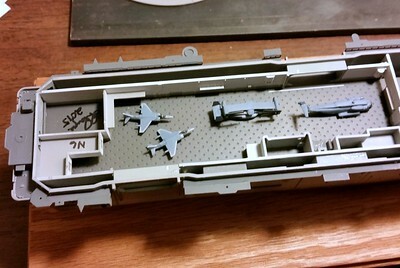 150915: One of the two-piece PE catwalk/troop walkway assemblies. Tried soldering but wound up applying too much heat and distorted the parts. 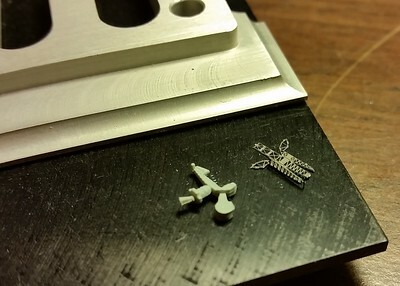 Had to de-solder, flatten, repeat, etc. 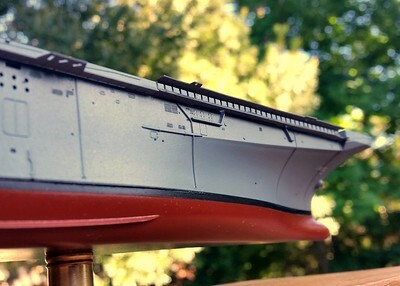 150915: LHD-5 progress shot. 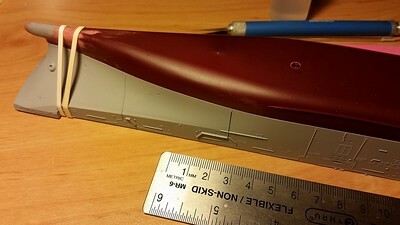 Detail is very good! 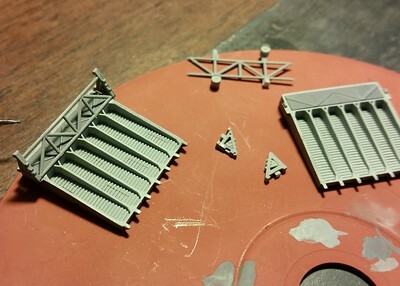 150915: Starting on the PE catwalks and troop walkways (included in the kit). 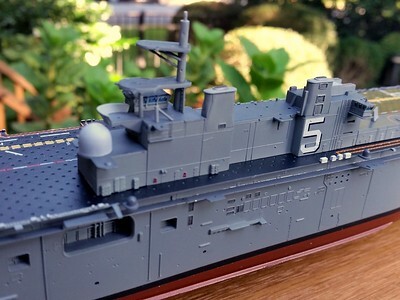 150215: LHD-5 Decal application. 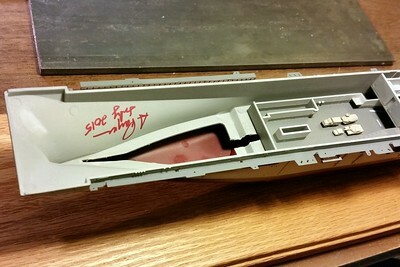 Decals are very good and fit perfectly. But there are lots and lots! 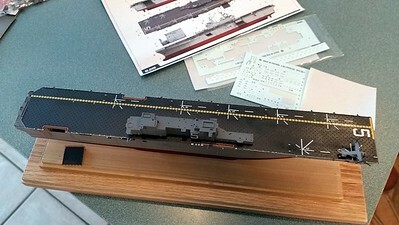 141205 LHD-5 hull painting. Quick job with basic tools and paints. 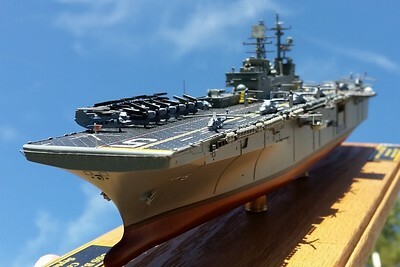 141205 LHD-5 hull painting. Unmasking is always my favirote task! 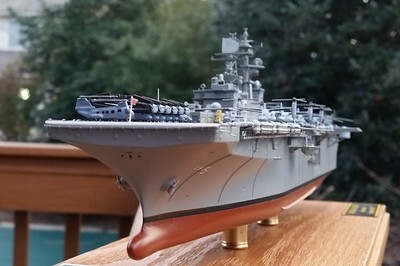 141205 LHD-5 hull painting. 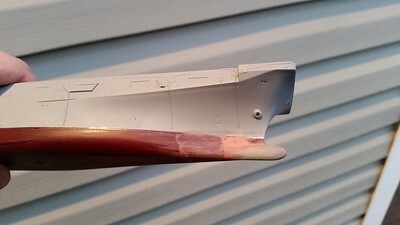 Ready for hull red (Rattlecan red lead primer). 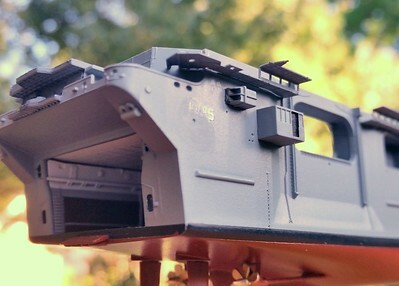 141205 LHD-5 hull painting. 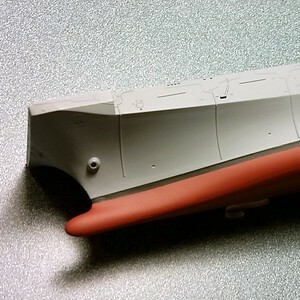 Masking the boot topping. 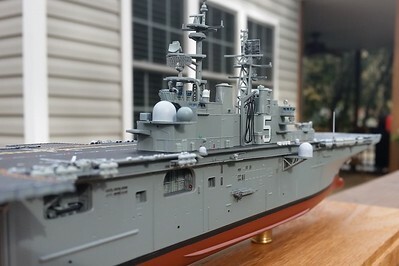 141203 LHD-5 hull painting. 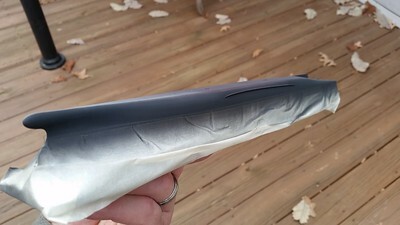 Haze grey (Testors Acryl Neutral Grey FS26270) is already applied, and top of boot topping masked to receive flat black from rattlecan. 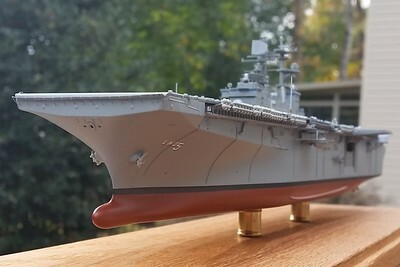 141129: LHD-5 nose job. 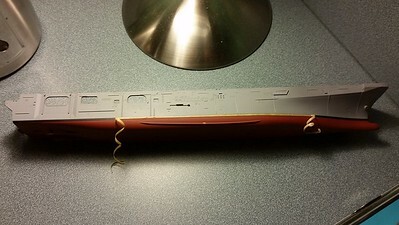 I inserted a wedge of white sheet styrene to fill the gap on the stem between red and grey. 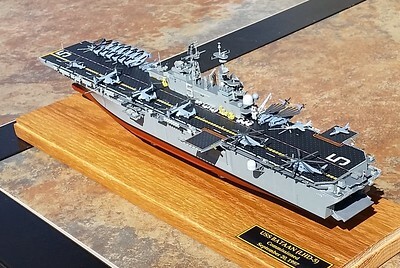 141129: LHD-5 hull mating. 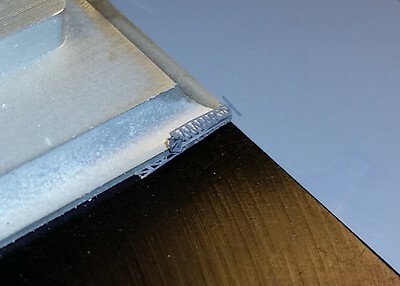 Secured for welding. 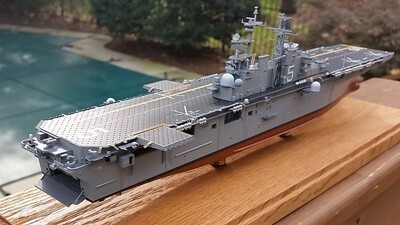 141129: LHD-5 hull mating. 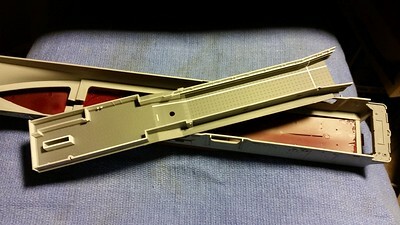 Had to cut the stringers to get the upper V deck to fit properly.